If you are new in using the social media application twitter, then you might get a little baffled with this two things that you might encounter. In this article, you will know the certain differences and the certain uses of Twitter Retweet and Twitter quote tweet. But first, we must know what is a retweet is? Retweet is a certain action or a certain feature that we use to share other’s tweet without any alteration. If you retweet something, the contents of it will not be changed or anything it will only be retained. Simply, you are just re-posting a certain tweet by someone from your following, so that, the certain tweet that you chose to retweet will instantly appear in your twitter feed or your profile. When you have already retweeted a person’s tweet, the person that owns that tweet will be notified that people is retweeting his or her tweets. Retweeting is very easy thing to do in twitter, plus, it is a very good way to share a certain content, particularly in your certain twitter account. But in quote tweet it is a lot more different. In quote tweet, it surely allows you to remake the words of that certain tweet. In addition to, the certain tweet will let others see as your tweet. Always remember to credit the certain person who posted the certain tweet originally. Quote tweets, this is where certain users can choose to quote tweet and they can add a certain comment of about something that they want to send to their followers. This quote tweet is very beneficial because they can have the chance to share a certain tweet and also add their certain thoughts or comments and also with 140 characters. But it is not People also just type “RT” when they are going to retweet a tweet because the word “RT” simply means also retweet. But it is not lay down the law that everyone should always put the certain word “RT” in their quoted tweets. It is just simply to give respect and also credits to the person who really tweeted it originally. The conclusion? Twitter is continuing to set an burgeoning act in a way brands are built, form what source information is spread, and also how purchases are done. And eventually this social network will stay among the very not so understandable by certain brands of all sizes and all shapes. For an example is, what is the difference between quoted tweet and retweets? It is very simple. A certain retweet just send the tweet that you have selected again, as is to your certain followers. Retweeting is a lot more faster way to share a tweet that to quote because quoting a tweet can let you add your certain thoughts and comments and you can even modify a certain tweet that you chose. So if you ever get confused again, always remember that retweet is just sending it again and quoted tweets can be modified. A twitter Retweetis a very powerful tool. It is a fact that a large number of people tend to ignore. It is not by choice, it is just that most people do not know the power that the retweet holds. In the event that you are on social media to market your business or you are simply looking to get word out there about something, it is important that you know the power that the retweet has. 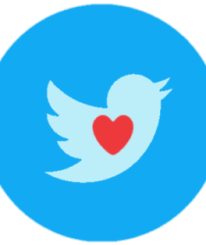 The retweet kind of sets in motion a ripple effect whose end point cannot really be predicted but it works very effectively to get the word out there to so many twitter users at the same time. How does it all work? Normally on twitter, when you send out a tweet, only your followers get to see it. Let us say for example now that you have maybe just twenty followers. You have to remember that each of your twenty followers have their own followers. Let us create a simple give and take situation where each of your twenty followers also have twenty followers each. Once you send out your tweet, the twenty followers will see it. If each of these twenty followers give you a twitter retweet, you will have your content again seen by each of their twenty followers. Within a very short time you will have your content viewed by a minimum of four hundred people. The term minimum here is being used because you have to remember that the followers of your followers also have their own followers. Thus if the followers of your followersalso give you thattwitter retweet, their followers get to be added to the list. That is how powerful onetwitter retweet is and that is the entire ripple effect that it creates. You can be sure that the tweet will continue being retweeted by many more people. You can never really know where it will all end, all you will see is the good benefits that will be coming to you form all the retweeting that is taking place. You will have managed to tap into a muchwider audience within a very short time and at a much lower cost. With that you can also be sure that you will get the visibility that you so much need within a very short time. Never look at features such as the twitter retweet as just additions on the twitter page. These are crucial features that will propel your social media campaigns to heights that you never thought it would reach. You need to learn and understand how to properly use them to get all the benefits that you need. Remember that it is said that information is power. Takethetime to get the information on how best to use these features and you can besure that you will not regret the effort that you put in. 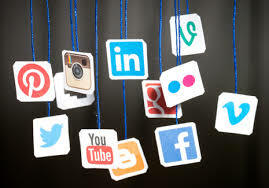 Social media marketing has been known to revolutionize businesses and turn business ownersinto millionaires so do not hesitate to take advantage of its features.